We’re just going to say it. Dropbox is one of our favourite storage solutions! No, we are not affiliated or being paid for recommending Dropbox, we just really enjoy using it. Related: If you’re a Google Drive person, we talk about why we love Google Drive here). 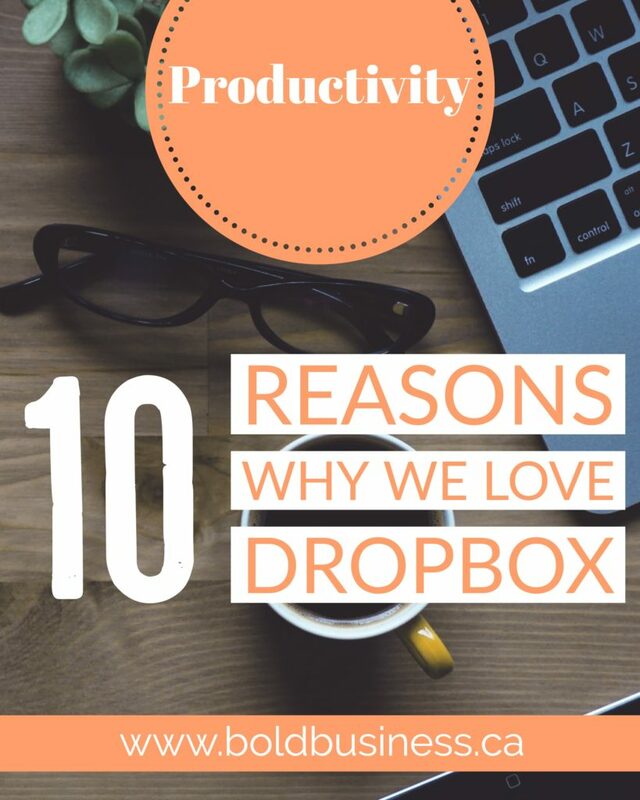 We like using Dropbox with clients because it is user friendly. From a very simple sign-up, to their easy to navigate backend, it is the easiest storage solution to explain to people who are less technically savvy. You can then choose what to upload “photos only” or “photos and videos”, how to upload “wifi only” or “wifi and data plan”, and when to upload. Marking a file as a “favourite” will save the document to your device so you can access it offline. Simply click the arrow icon beside the file and swipe right on “Available offline”. Use this for sports tickets, flight and hotel reservations and any other important documents you want to access offline. Add your personal email to the Approved Document Email List. Then simply activate the IFTTT recipe. Now just drag the file into the Kindle Dropbox folder and IFTTT will email the file to your Kindle. If you’ve accidentally saved over a previous version of a document you want to keep, you can still get to it. Note that with the free version of Dropbox, you can restore documents up to 30 days old. Mistakenly deleted a file you need? Have no fear, it can be restored for up to 30 days! Just click on the Deleted Files folder in the sidebar and voila, your file can be found. Click the three dots beside it and click restore to bring your file back to your Documents folder. When your company shares files, it can be difficult to keep track of what is happening with certain files. To find out what changes have to made to a file and who made them, use the Events Timeline feature. Just click on “Events” on the side tab and see all your past events. You can search events by folder or by date on the top right. If one of your devices are lost or stolen, you can unlink your Dropbox account and remotely wipe the files from it. The remote wipe command will be sent after unlinking a mobile device; when you unlink computers, remote wipe is optional. Bonus: Dropbox Papers is quickly becoming one of our favourite new tools for to do lists, meeting agendas, minutes and brainstorming sessions. Check out our review of why we’re digging it here.